St. Marys, PA: News flash! Not all scholarships are targeted for graduating high school seniors! 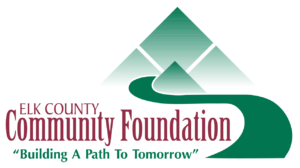 The Elk County Community Foundation (ECCF) offers a number of scholarships for adults, current college students, and graduate level students who are pursuing an education. These non-high school students log into the new ECCF website at www.elkcountyfoundation.org to learn about all the scholarships that are available to them. The new Information for Students section features easy-to-navigate buttons that take you to the scholarships that are appropriate for each type of student. It also includes a Q & A section to answer the most frequently asked questions. Adult learner scholarship applications can be downloaded from the website, filled out, and returned to the Foundation for review. Deadline dates for each application are indicated on the website, many of which must be returned by April 1st. Scholarships are available for those seeking an education in general, technical, vocational, and specialized fields of study. Current scholarships available are: Inez Bull Piano Scholarship, Ole Bull Violin Scholarship, Michele Campbell Memorial Nursing Scholarship, David L. Delullo Memorial Scholarship, Hasselman/Hopton Memorial Scholarship, Seth T. Hockman Memorial Scholarship, Leroy C. Krise Memorial Scholarship, Dr. Sandra Calkins Kowalski Nursing, Ella McElhany & Maude B. Schimmelfeng Scholarship, Richard Miller Memorial Scholarship, Ruth E. Reed Nursing Scholarship, Greiner/Roof Law Scholarship, Dr. Maurus Sorg Memorial Scholarship, and the Joseph A. Williams Medical Scholarship. The Dr. Maurus Sorg Memorial Scholarship was established this year to honor his lifetime of service to his patients and his community. This scholarship is available to both adult learners and graduating seniors. As an added bonus due to ECCF’s partnership with PATH (Partners for Access to Higher Education), some students who receive a scholarship through the Foundation may qualify for matching dollars through PHEAA and the PATH program. In the 2017-2018 school year over $71,000 was matched to 67 local students. Visit the ECCF website at www.elkcountyfoundation.org for more details on the various scholarship opportunities that exist for both high school and non-traditional students. Many of the scholarships honor or memorialize individuals who have touched the lives of our Elk County residents. The Elk County Community Foundation provides donors with a simple but powerful and highly personal approach to achieving their philanthropic goals while enhancing the quality of life for the people of Elk County. For further details, contact the Foundation at 834-2125.